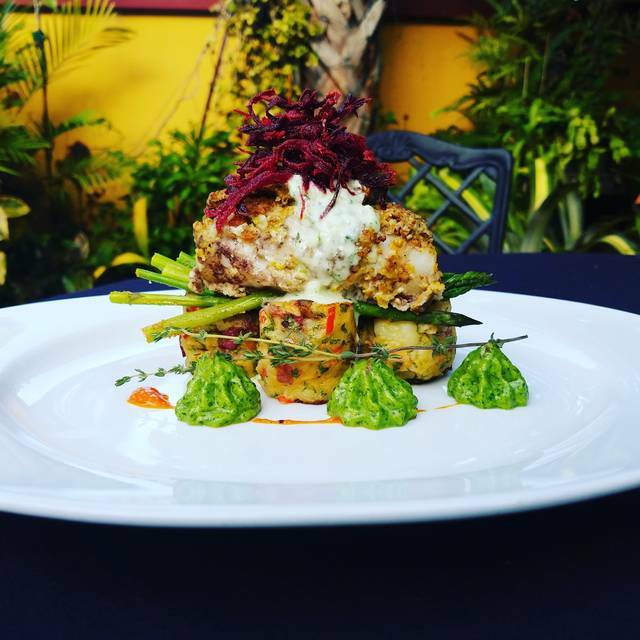 king st. & Cordova st.
features creative cuisine, spiced with variety, in a casually elegant dining atmosphere. 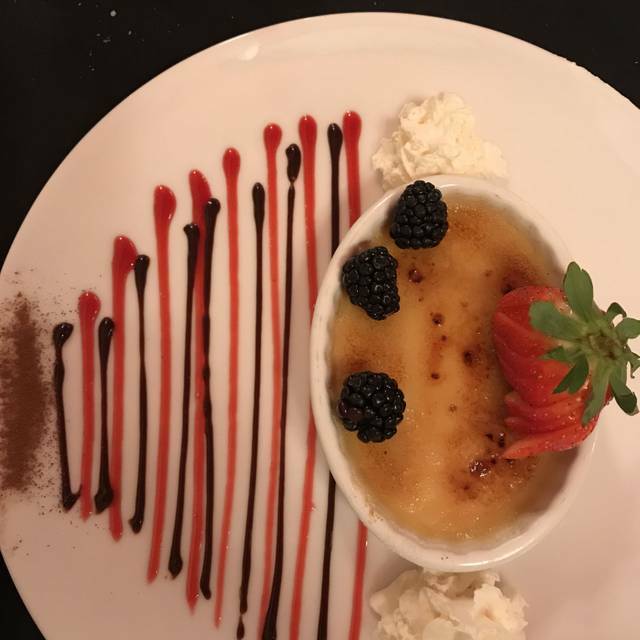 Located in a beautifully restored 19th century building, the Old City House offers it’s guests the chance to experience a personal selection of world cuisine in a Mediterranean atmosphere. 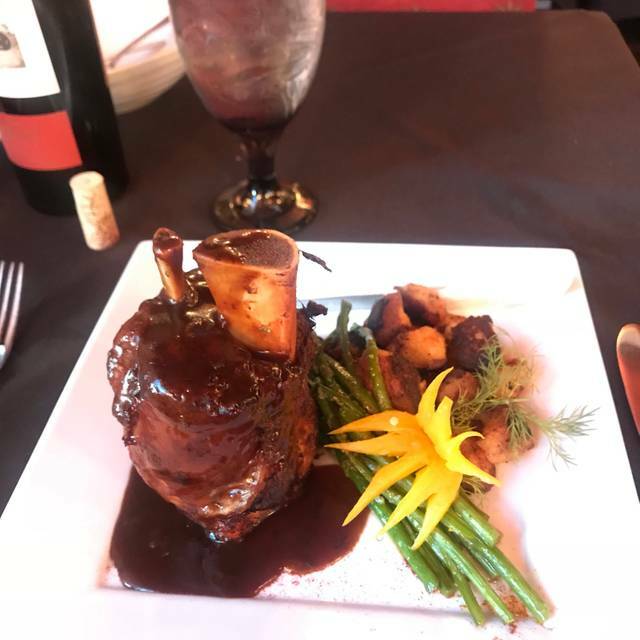 Only the finest ingredients are used and all entrees are prepared to order featuring fresh seafood, pasta, beef, lamb, and pork. 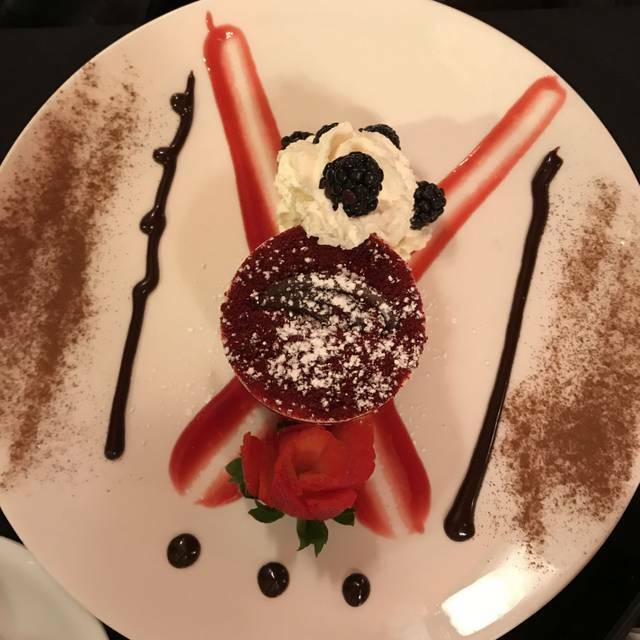 The intimate and charming dining room is conducive to a relaxed, comfortable meal which is served by a knowledgeable and professional wait staff. 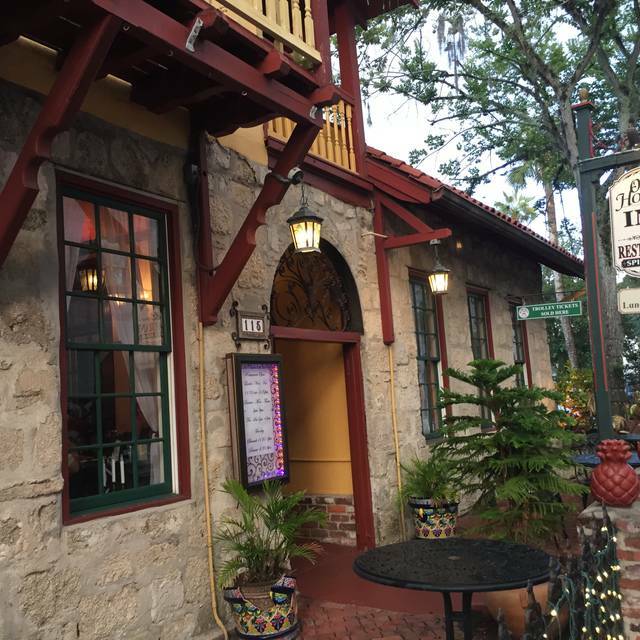 The "go to" place in St. Augustine for fine food and atmosphere. We have dined here on several previous occasions so it was a natural choice when we had guests visiting our beach home. 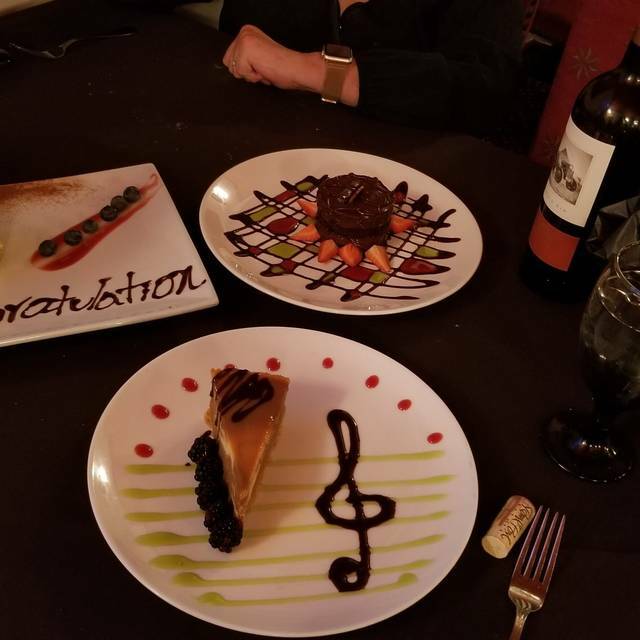 I Definitely recommend the Old City House for any occasion of just a fine meal. At first when we came in they told us there's no active bartender. Then this post comes to me and asked if I have a reservation and brings be to the back to these tables that are not even sitting together which we had 10 people with a reservation for outside. He was very rude and told us to talk to Juan. Not even telling me where one was I had to ask every guy in a black shirt for work there till I found juan. But after that Juan was very nice and accommodating and sat us all outdoors for our birthday celebration and the waiter and everyone Made our visit amazing. Mac our server was excellent. Food presentation awesome. Delicious!! In a city with nearly unlimited choices in dining this one blew us away. We sat outside, had an appetizer, drinks, and entrees. All three were top notch. I ordered a Tom Collins from the bar, it's my standard warm weather cocktail, and it was easily the best I've ever had. Crab cocktail was delicious with a sorbet pallette cleanser before our entrees came out. I forget the name of the dish but it was essentially fish and shellfish in a broth with tomatoes, and it was incredible. We'll be back again for sure to enjoy the orchids in the garden atmosphere as well as the food. Mack was our waiter and bartender, and I would say if you are lucky enough to have him as your server you will have an experience just as amazing as we had. Great location and a very nice and attentive waiter. The fish dish was greatly overcooked as thouh it had been prepared in advance. Additionally the bottle of wine was presented in an ice bucket that was set on an empty chair next to the table. Maybe I just got a bad night but I probably would not repeat. Food was exceptional. Service was simply on par. Decor and music felt like it was from the early 90’s, but not distasteful were it was a distraction. EXCELLANT place to dine before the concert. The food is varied and the atmosphere is enjoyable. Very average. Soup and salads were good. Food was outstanding as always. Service friendly and attentive. This is our third visit this month. Each time we have brought friends and family to share our pleasant experience. The food is always diverse and excellent. The service is warm, caring and personal. We sat outdoors and had a lovely time! Service was top notch, and the food was delish. It was a business dinner and would take guests there again. Place is a little tired and in need of a facelift! Service (Rod) was very good--fast, friendly and attentive. Food was very good with the best part being the jumbo crab cocktail, the large tender moist and tasty tenderloin of beef. The cioppino on the other hand, although loaded with seafood (mussels, clams, scallops, shrimp and fish) appeared to contain ingredients that were a little past their prime! 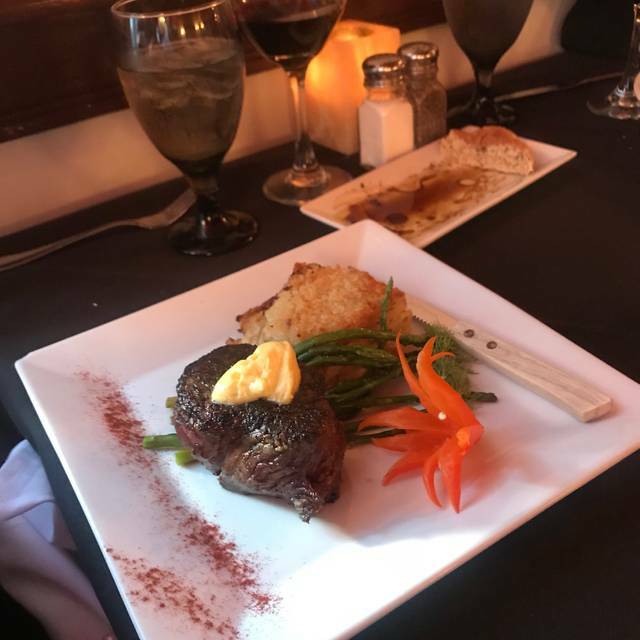 This is a wonderful fine dining restaurant in Saint Augustine serving a continental cuisine coupled with impeccable, friendly service, and complemented with a superb wine selection and full service bar. See my previous reviews as I am a frequent patron. an extra effort to fulfill our drink orders. The atmosphere was comfortable and conducive to enjoyable conversation. Poor from when we first entered the restaurant. No one to greet you. Appeared that they were understaffed. Did not even know how to lake a martini. The waiter never told us about all the specials. The table next to us had duck and told us it was the special. That is my wife’s favorite meal. When we asked the waiter he lied to me and said it was on the menu and not a special. When I asked him to show me on the menu, he came back and said it was not on the menu and it was a special. My wife’s chicken dish that she ordered was not eatable. Only good point is they did not charge us for the chicken dish that she could not eat. I will never eat at this restaurant again. Ambiance great, service excellent. Menu ok. As foodie, the looking good menu didn’t meet the standard. Escargot overcooked and chewie, Cioppino not even close to authentic, more like tomatoe soup with overcooked everything on it. Veal meatloaf, gosh !! Didn’t know anyone could ruined meatloaf. We love Old City House and always include a visit whenever we are in St. Austine. 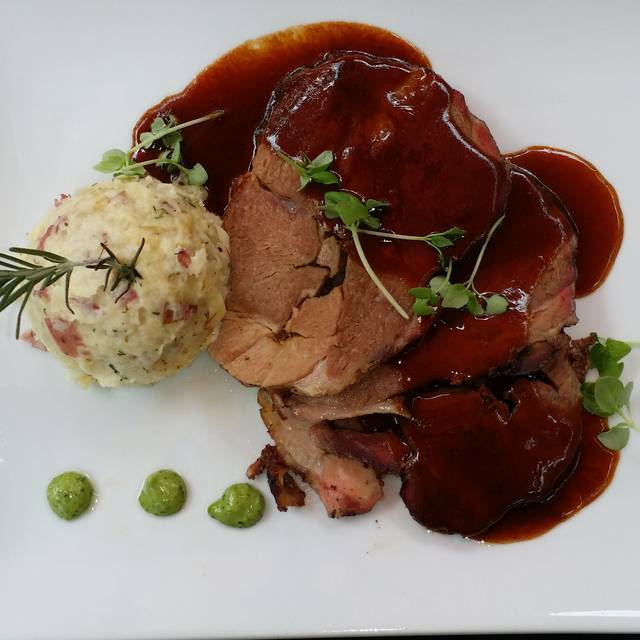 It is charming, quiet, and the food and service are excellent. We highly recommend it. Service and food were great. Its a good place to dine with friends. Small restaurant with great wine and food. I got the beef tenderloin and my husband got the cioppino, both were delicious! My only complaint would be that the menu is quite small, a few more entrees to choose from would’ve been nice! Food was mediocre and overpriced. The waiter gave poor service and added a 20% gratuity because is was a party of 5, which was not deserved nor were we informed of the policy. Food was fantastic. Victor gave us great service and was super friendly. Don Melchior Cabernet was delicious. Old City House Restaurant is a very nice fine dining restaurant in Saint Augustine featuring a nice variety Continental cuisine with wonderful specials, a full bar to serve that favorite cocktail, an excellent wine menu to complement dinner, great, friendly attentive service, and a very versatile, accommodating chef to meet the needs of those with dietary restrictions. Reservations are almost a must, and parking on site is available, but somewhat limited. I dine here frequently. Always a positive experience. Took out of town guests and they loved everything about Old City House. The food was really good but their service was lacking. We waited for at least 5-10 minutes after being sat before anyone came to take our drink order. They seemed to be a bit under staffed the night that we were there. Customer service from the staff that were there that night was great though. Excellent food, service was very slow for a Friday night. Food was enjoyed by everyone. Menu had a good variety. Service was outstanding. Great ambience. Food was over cooked. 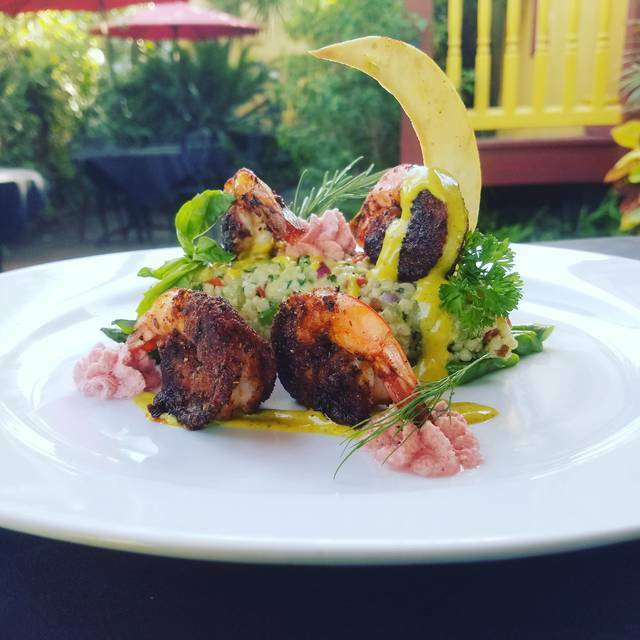 Went last year and I considered Old City House to be one of the best restaurants in St. Augustine. Not any more, the food was really terrible and not worth the money we paid. Some of the staff tried really hard...others seemed very overwhelmed. We had a 7:15 reservation, as did others, but overall the operation seemed to lack a leader. We watched as a 6:30 reservation for 3 walk out at 7:15 because they hadn’t received a table and nobody on staff was providing confidence that would change any time soon. Lots of people moving around frantically...but none really appearing to solve for the issues. Our server was actually solid. He was apologetic, but it was clear he was not the issue...and he was doing the best he could in a tough situation. We ordered the escargot and cheese board as apps. The cheese board was the highlight of the night and really good. The snails were ordinary and I’d skip them in the unlikely event we returned. For dinner we ordered the tenderloin and Osso Buco. My better half ordered the tenderloin med-rare...and it arrived rare, and cold to the point the butter on top wouldn’t even melt. The Osso Buco was more of a pork chop and had a dry “crust” that was not like any Osso Buco I’ve ever had before. The flavors, and presentation would suggest someone in the kitchen is trying...but maybe overwhelmed. All in all, this place can’t expect to charge the premium pricing it does if it can’t deliver the overall experience. Wonderful restaurant with located in a beautiful historic building! The food was sensational and the atmosphere was stellar. The waiter was not at all up to the job. Waiting very long for water and beverages, seemed to have an arrogant attitude and neglected to mention that they already added a 20% gratuity on the bill. I wonder how many have paid double the tip due to his neglect? Definitely worth going... just watch out for over paying! This was my first experience at Old City House and it was fantastic. We were a party of four and each person in our party thought the food and the service was outstanding.